One of God’s greatest blessings is peace, especially in marriage, because peace is not the norm. Whether we work with our hands, a computer, or our kids, we daily battle levels of chaos and long to connect with a loving spouse at the day’s end. In a godly marriage, we can know each other better than anyone else, give to each other more than anyone else, and long to be closer to each other than anyone else. This side of paradise there’s no bliss that’s even close. Only then will Jesus’ followers be face-to-face with the embodiment of Love. (Revelation 21:1-7) But until then, what are we to do? 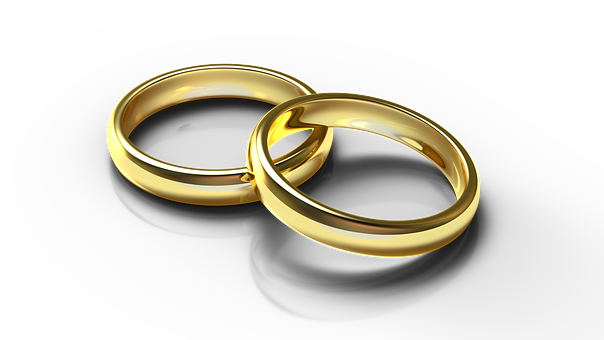 This week we consider marriage and the Ninth Commandment, “Do not bear false witness against your neighbor.” (Exodus 20:16 and Deuteronomy 5:20) The context reveals this as a court testimony about God’s Law of relationship with Him and others. (Matthew 22:37-40) This value of relationship is why many countries’ civil laws protect spouses from testifying against each other. They recognize a general reality that God’s Word explains specifically: concentric circles of peace. In other words, peace in a marriage can affect the peace in neighborhoods, states, even nations. But God’s Law is not for just the appearance of harmony. He calls us to tell the truth in the interest of pure love. (Luke 10:25-37, James 1:27, 2 Peter 1:3-11, etc.) Yet, we also know that marriage isn’t naturally peaceful. Truth about our failings and fears can even hurt us . . . unless we appeal to Jesus as our only judge. Jesus frees us to make our homes a safe place of forgiveness so we can – with discernment – tell the hard truths about ourselves, hear the same from our spouse and children, and help each other grow in love. And because we know the power of Jesus’ love, we point them to rest and grow in Him, too. At one point in the video below, I poorly communicate that “If we’re going to have peace with God, we need good relationships with each other.” Let me clarify: true peace through Christ will manifest in good relationships with others. Love toward others is the result, not the beginning of peace with God. Read Romans 12 to discuss circles of peace by “blood, sweat, & tears”. Verses 1-2 alludes first to peace with God by Jesus’ blood. Why? Verses 3-16 then points us peace with others by our “sweat”. How? Lastly, verses 17-21 free us for peace with others by their tears. When? What does this say about truth, rest, work, and peace in our marriages?